I joined Warwick's Philosophy Department in 1993 and have held a Personal Chair since 1998. I did my graduate studies at the University of Sussex. I have presented lectures around the world, including Australia, Brazil, Canada, France, Germany, the Netherlands, New Zealand, Switzerland, and the United States. In 2013/14 I was Senior Visiting Research Fellow in the Humanities at Rice University. I specialise in modern European philosophy. I am the author of monographs on Nietzsche and Bergson, and co-editor of The Nietzsche Reader (Blackwell) and Bergson: Key Writings (Bloomsbury Press). I am the co-editor of two new book series: Philosophy as a Way of Life, with Matthew Sharpe & Michael Ure (Bloomsbury Press), and The Edinburgh Critical Guides to Nietzsche, with Daniel Conway (Edinburgh University Press). I am a member of GIRN (Groupe International de Recherches sur Nietzsche). I serve on the editorial boards of Cosmos and History, Journal of Nietzsche Studies, and Nietzsche-Studien. In recent years I have sought to make a contribution to Nietzsche studies with a focus on his middle writings. I have written the Afterword to the new edition and translation of Dawn published by Stanford University Press in 2011 and as part of The Complete Works of Friedrich Nietzsche. My study of Dawn, co-authored with Rebecca Bamford, will be published in 2020 with Wiley-Blackwell. 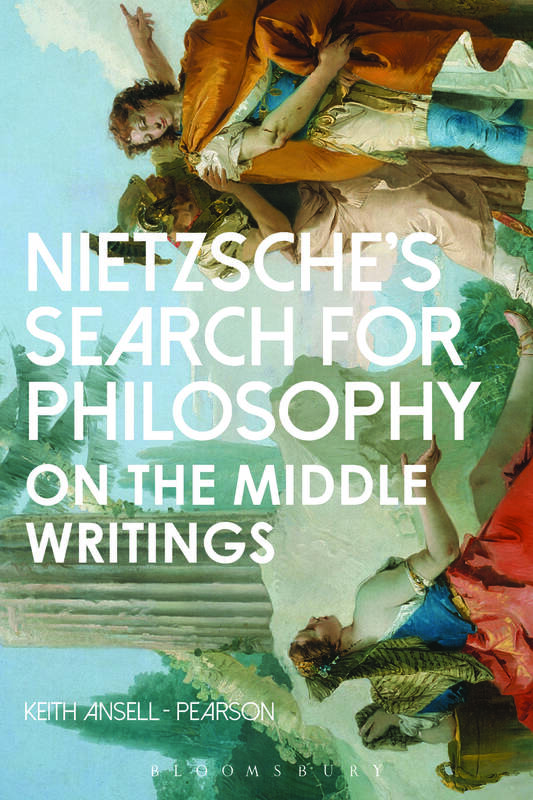 In 2018 Bloomsbury Press published my book, Nietzsche's Search for Philosophy: On the Middle Writings. With this research I have sought to provide new insights into what Nietzsche is doing in these texts with respect to his conception of philosophy and the tasks of the free-minded philosopher, including his adoption of a cool, sober, and sceptical mode of philosophical practice, his conception of the passion of knowledge, his commitment to a new Enlightenment that aims to combat fanaticism, his ethics of self-cultivation, his conception of philosophical cheerfulness, and his interest in Epicurus and the practice of heroic-idyllic philosophizing. With Paul Loeb I am editing a new volume of essays on Thus Spoke Zarathustra for Cambridge University Press to be published in their 'Critical Guides' series. The volume will showcase new research. My contribution to the volume focuses on philosophy as a way of life and self-cultivation in Nietzsche's text. In 2018 Bloomsbury Press published my book, Bergson. Thinking Beyond the Human Condition. This book has received an Outstanding Academic Titles Award (OAT) 2018 by CHOICE. 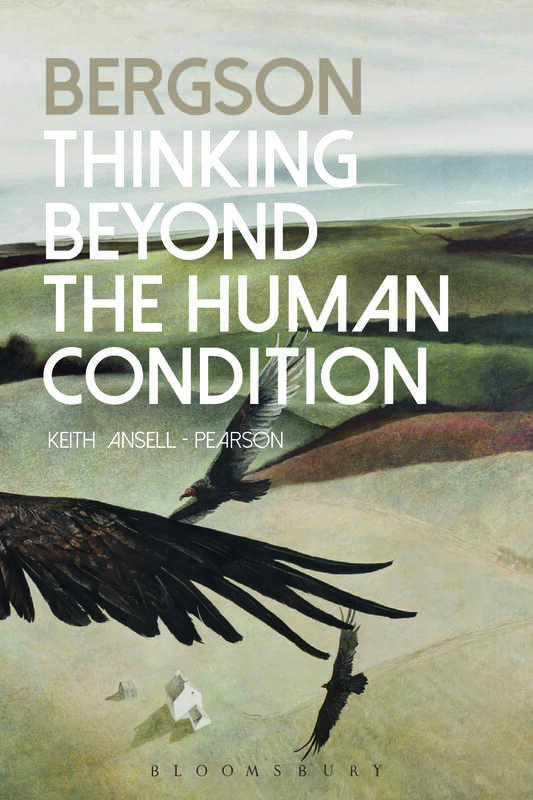 The book seeks to illuminate Bergson's view that philosophy is the discipline of thinking that makes the effort to think beyond the human condition so as to extend our perception of the universe. In eight chapters I explore Bergson on Lucretius, on time and freedom, on memory, on his reformation of philosophy in Creative Evolution, on religion, on ethics, and on education and the art of life. I have been appointed the co-general editor of a publication venture by Bloomsbury Press. This is the translation into English of the recently published series by PUF (2016-18) of three public lecture courses by Bergson: The History of the Idea of Time (1902/3), The History of Theories of Memory (1903/4), The Evolution of the Problem of Freedom(1904/5). I am working on this project with Donald A. Landes. I have recently completed an essay on 'Bergson and Philosophy as a Way of Life', to be published in a new volume of essays on Bergson by Cambridge University Press, Interpreting Bergson: Critical Essays, and edited by Alexandre Lefebvre and Nils Schott. I am researching an essay on Bergson on humanity and the post-human for a volume of essays entitled The Bergsonian Mind being edited by Yaron Wolf and Mark Sinclair for Routledge. With Federico Testa I am editing the English edition and translation of Guyau’s text, The Ethics of Epicurus (1878). With him I am also working on an essay on Guyau and ethics for the Oxford Handbook of Modern French Philosophy (edited by Mark Sinclair and Daniel Whistler). Nietzsche contra Rousseau (Cambridge University Press, 1991). Nietzsche's Search for Philosophy: On the Middle Writings (Bloomsbury Press, 2018). (ed. with John O Maoilerca) Bergson: Key Writings (Bloomsbury Press, 2002, second edition 2014). "Nietzsche on Transforming the Passions into Joys: On the Middle Writings and Thus Spoke Zarathustra", Ainsi parlait Zarathoustra. Nietzsche et la philosophie de l'affirmation, sous la direction de C. Bertot, J. Leclercq et P. Wotling (Presses Universitaires de Louvain, forthcoming 2019). "'Holding on to the Sublime': On Nietzsche's Early 'Unfashionable' Project", in K. Gemes & J. Richardson (eds. ), The Oxford Handbook to Nietzsche (Oxford UP, 2013), pp. 226-51. "Heroic-Idyllic: Nietzsche on Philosophy and the Philosopher in Human, all too Human", in Celine Denat & Patrick Wotling (eds. ), Human, trop humain, et les debuts de la reforme de la philosophie (Éditions et presses de l'université de Reims, 2017), pp. 219-243. "Nietzsche and Epicurus", in Mark Conard (ed. ), Nietzsche and the Philosophers (Routledge, 2017), pp. 121-145. "Nietzsche on Enlightenment and Fanaticism: On the Middle Writings", in Paul Katsafanas (ed. ), The Nietzschean Mind (Routledge, 2018), pp. 11-27. "Questions of the Subject in Nietzsche and Foucault: A Reading of 'Dawn'", in J. Constancio (ed. ), Nietzsche and Subjectivity (Walter de Gruyter, 2015), pp. 411-435. "The Need for Small Doses: Nietzsche, Fanaticism, and Epicureanism", in Celine Denat and Patrick Wotling (eds. ), Aurore : un tournant dans l'oeuvre de Nietzsche (Éditions et presses de l'université de Reims, 2015), pp. 193-225. "Care of Self in Dawn: On Nietzsche's Resistance to Bio-political Modernity", in Manuel Knoll & Barry Stocker (eds. ), Nietzsche as a Political Thinker (Walter de Gruyter, 2014), pp. 269-86. "Bergson and Philosophy as a Way of Life", in Alexandre Lefebvre (ed. ), Interpreting Bergson: Critical Essays (Cambridge University Press, forthcoming, 2019). "Bergson on Memory"& "Deleuze on the Overcoming of Memory", both in S. Radstone & B. Schwarz (eds. ), Memory: Histories, Theories, Debates, Fordham University Press (2010), pp. 61-77 & pp. 161-79. "Bergson", in Dean Moyar (ed. ), The Routledge Companion to Nineteenth Century Philosophy (Routledge, 2010), pp. 403-33. "Responses to Evolution: Spencer's Evolutionism, Bergsonism, and Contemporary Biology" (with Paul-Antoine Miquel & Michael Vaughan), The History of Continental Philosophy, volume three (Acumen/University of Chicago Press, 2010), pp. 347-79. "Morality and the Philosophy of Life in Guyau and Bergson", Continental Philosophy Review, 47: 1, 2014, pp. 59-85. "Bergson and Ethics", in Hugh LaFollette, The International Encyclopedia of Ethics (Wiley-Blackwell, 2013), pp. 513-520. "Bergson and Politics", The Encyclopedia of Political Thought (Wiley-Blackwell 2014). "Henri-Louis Bergson (1859-1941)", The Routledge Encyclopedia of Philosophy (on-line version, published 2017). "Bergson, Education, and the Art of Life", in A. J. Bartlett & Justin Clemens (eds. ), What is Education?, (Edinburgh University Press, 2017), pp. 115-136. "Bergson's Reformation of Philosophy in Creative Evolution, Journal of French and Francophone Philosophy, XXIX: 2 (2016), pp. 84-105; a modified version of this essay is also published as 'Bergson's Reformation of Philosophy' in Dissertatio Volume Supplementar 4: Revista de Filosofia, Dossie Bergson 2016 (Brazil), pp. 51-62. "Beyond the Human Condition: Bergson and Deleuze", in Jon Roffe (ed. ), Deleuze and the Non/Human (Palgrave Macmillan, 2015), pp. 81-102. "Affirmative Naturalism: Deleuze and Epicureanism", Cosmos and History,10: 2, 2014, pp. 121-137. "Deleuze and New Materialism: Naturalism, Normativity, and Ethics", in Sarah Ellenzweig and John Zammito (eds. ), The New Politics of Materialism (Routledge, 2017), pp. 88-109. "Naturalism in the Continental Tradition" (with John Protevi), in Kelly James Clark (ed. ), The Blackwell Companion to Naturalism (Wiley-Blackwell, 2016), pp.34-49. "Beyond Obligation? Jean-Marie Guyau on Life and Ethics", in Royal Institute of Philosophy Supplement, Volume 77, October 2015, pp 207-225. (with Michael Ure), "Contra Kant: Experimental Ethics in Nietzsche and Guyau", in T. Bailey & J. Constancio (eds. ), Nietzsche and Kantian Ethics (Bloomsbury Press, 2018), pp. 257-291. "Contra Kant and Beyond Nietzsche: Naturalizing Ethics in the Work of Jean-Marie Guyau", The Hegel Bulletin (Cambridge University Press), 35:2, 2014, pp. 185-203.